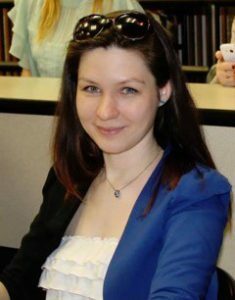 Ellina Sattarova is enrolled in a joint Film/Slavic Studies PhD at the University of Pittsburgh. She received her BA in Linguistics and Teaching Methodology from the Moscow State Linguistic University and her MA in German Literature and Film from the University of Montana. Among her research interests are contemporary Russian cinema, fairy tale motifs in film, and their role in the construction of gender in narrative cinema.